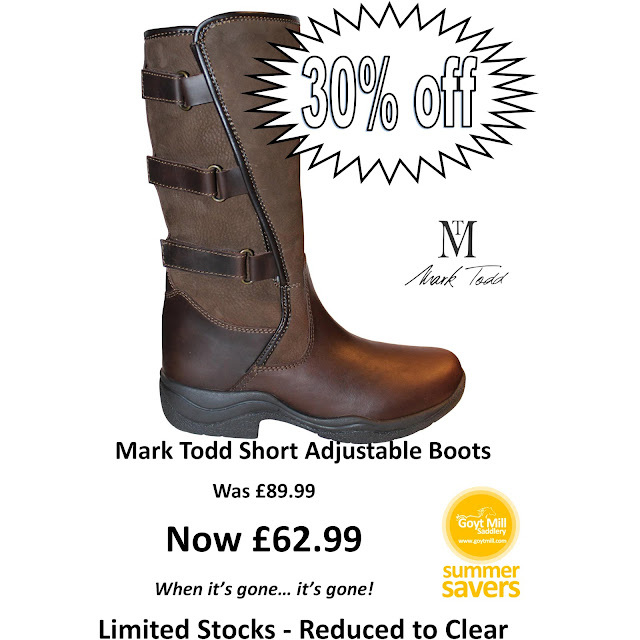 The Mark Todd Short Adjustable Boots are a smart 3/4 length country boot features a suede and leather outer and waterproof lining. It allows maximum adjustability having three hook and loop fastening staps down the side and foldable gusset. In addition they feature a solid grip sole and a super comfortable footbed.